What inspired you to become a doula? I have always been intrigued by birth. From the as far back as I can remember I wanted to be an Obstetrician but after 12 years of school I was done. I joined the military and while on a deployment I came across midwife training which lead to me finding out about doulas. I really loved the idea that I get to be at the birth and not just the delivery. As son as I returned from my deployment I got trained as a doula. Why do you identify with the term radical doula? After taking my most recent doula training my mind was expanded to the physiological side of birth and to all the things happening behind the scenes. I was blown away by the fact that we were interrupting the physiological processes. We were not only interrupting a birthing woman but we were actually doing her harm by poking, prodding and managing her. I realized that millions of women birth before without doctors medical interventions and have birth great nations. I truly understand how important it is to run away from the medical community and let a woman birth without interruption. I never want another woman to have her power taken away or to hinder her climb up the mountain to get her baby. 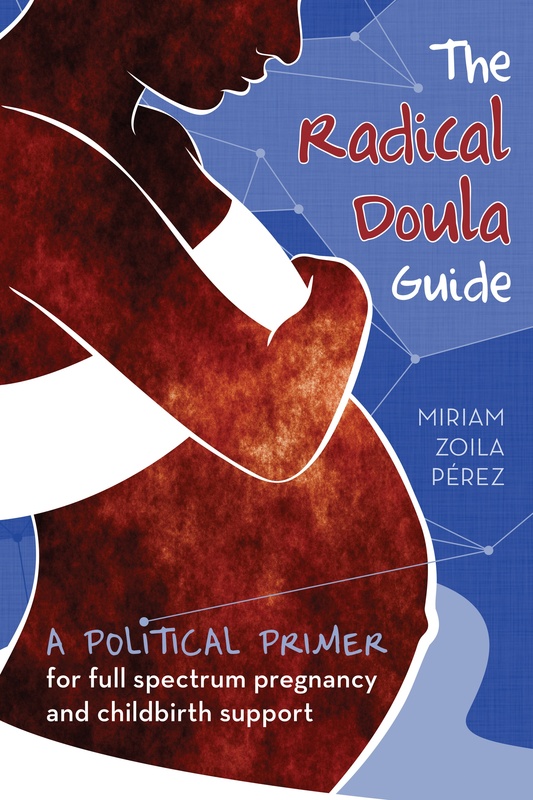 What is your doula philosophy and how does it fit into your broader political beliefs? I believe that woman should be unhindered and unbothered during birth. Our bodies are extremely intelligent and know exactly how to bring a baby earthside. If left alone a woman transforms into someone so much more powerful. As a doula I am there to hold that sacred space as you take this intense journey to get your baby. I truly believe that the world would be a better place if we left women alone to tap into that maternal power. It transforms you as a woman. We have to stop hindering woman. Woman are birthing generations and we do not want to interrupt that process. I am here to advocate for women to control their own bodies! What is your favorite thing about being a doula? Just watching women find their rhythm. It is amazing to see how a woman just naturally follow her body or naturally flows into positions to comfort and progress her labor. Sometimes I just sit back in awe. If you could change one thing about the experience of pregnancy and birth, what would it be? That a woman NEVER lose her power in birth and that dads truly understand how important they are in birth. I feel like a women is never more powerful than when she has to reach into the depths of her soul and pull all her power inside to bring forth her baby. Birth is truly transformational for women and we have to stop taking their power during birth. We also have to empower men with the knowledge that while a woman is in the trenches of labor and going to the mountain they are supposed to be there when she finally comes back hearthside with her baby.